Marilyn appears in 2008 film "Rag Doll." Marilyn J. Beck, a longtime Remsen St. resident and active member of the Heights Players, died at Long Island College Hospital Saturday night. She was 80. Marilyn hailed from Indiana, where she attended St. Mary’s College and Ball State University. She worked for many years as a New York City public school teacher, retiring in 1989, but devoted much of her time to studying acting at HB Studio, in addition to pursuing African dance and ballet. 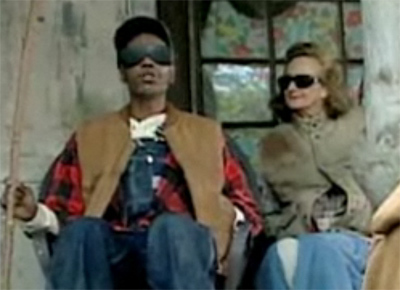 A member of the Screen Actors Guild, her credits included “Going in Style” (1979), “A Beautiful Mind” (2001), and a 2003 episode of “Chappelle’s Show,” in which she played the wife of Chappelle’s blind, white supremacist character Clayton Bigsby. Marilyn appears opposite Dave Chappelle in 2003. As a literacy advocate, she organized a program of dramatized short story readings that toured local libraries and nursing homes in the early 1990s, and volunteered with the SAG BookPALS program. Local audiences may remember her collaboration with legendary jazz violinist Noel Pointer on the production “Loving Henry,” a musical based on the Henry Ward Beecher adultery scandal of the 1870s. 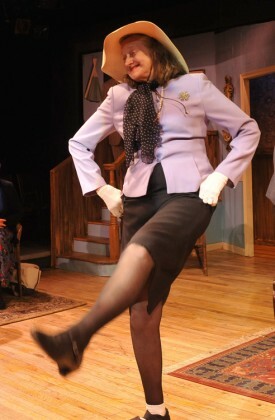 Marilyn was a fixture at the Heights Players, appearing in countless roles over the years. Dedicated to her craft, in 2005 she collapsed backstage during a production of “The Women,” but insisted on finishing the show before being brought to the hospital. Despite failing health, she appeared on stage as recently as last month in a tribute to Heights Players founding member John Bourne. Scene from independent film "El Delivery" in 2004.